Ever wanted to be a PADI Dry Suit Diver? Diving in cold water conditions shouldn’t scare you off, some of the greatest diving experiences occur in the colder waters around the world, experiences such as diving in the crystal clear water of Silfra in Iceland, getting in the water with orcas in Norway, and diving with seals in our own backyard in the Atlantic ocean off the coast of Cape Town. PADI Dry Suit Diver makes scuba diving in cold water all the more enjoyable. The perception that cold water diving is second to the tropics could not be further off, and once you have the qualification of diving in a dry suit, you would undoubtedly experience this for yourself. The colder oceans around the water have life as you have never seen it before, and which you will certainly not experience in warmer water. Whereas you get completely wet diving in a wetsuit, diving in a dry suit gives you the added advantage of remaining dry underneath your exposure suit, allowing you to stay warmer for longer and in turn extending your bottom time. During the PADI Dry suit diver course you will firstly learn what exactly a dry suit is, and which style is perfect for you, and of course how to take care of your dry suit. 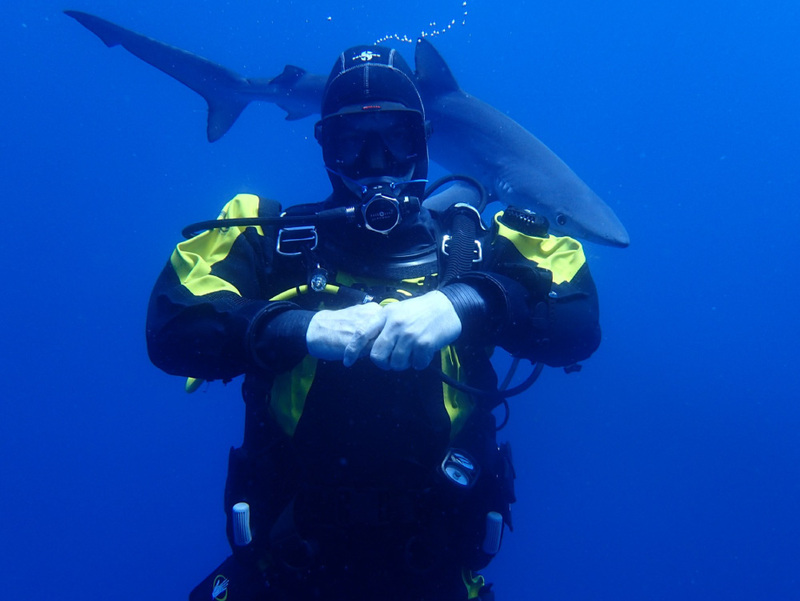 You will also learn how to make the proper adjustments to master buoyancy control while in a dry suit, and specified safety procedures to keep in mind. During your course you will take part in 1 confined water orientation dive, and 2 open water dives.